A NUCLEAR fusion laboratory designed to re-create the temperatures and pressures of an exploding star could be built in England under plans being drawn up by British scientists. A supernovae / supernovas is a stellar explosion. They are extremely luminous and cause a burst of radiation that may briefly outshine an entire galaxy before fading from view over several weeks or months. 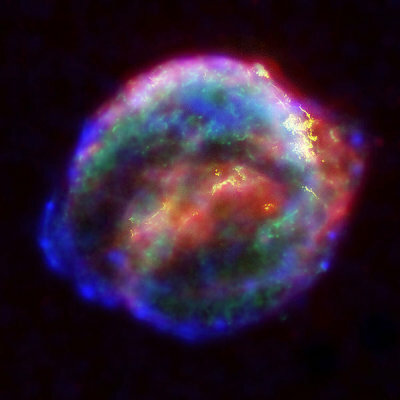 Now scientists plan supernova blasts in lab to tap energy. The aim is to build some of the world’s most powerful lasers and use them to blast tiny pellets of hydrogen fuel to create energy. The process is similar to the supernova explosion that heralds the death of a star. Researchers say the process could offer a partial solution to the world’s energy crisis, offering a source of carbon-free power with only a minimum of radioactive waste. Operatives had only a 10-second window to hit the satellite – USA 193 – which went out of control shortly after it was launched in December 2006. Officials were worried its hydrazine fuel could do harm, but it is not yet known if the fuel tank was destroyed. On Tuesday, a US State Department spokesman stressed that the action was meant to protect people from the hazardous fuel and was not a weapons test. The US government has also denied claims that the main aim of the operation was to destroy secret components on USA 193. Officials say classified parts would be burned up in the atmosphere and, in any case, that would not be a reason for shooting down the satellite.